Age is but a number, your BioScore however, tells you much more. BioScore is basically how old you really are biologically in comparison to your actual age. So for example, I may be 28 now, but how old my body really is doesn’t depend on my age alone. It is a combination of various factors such as my health, fitness and lifestyle which a certified BioScore Trainer at Fitness First can assess for me through a series of tests. 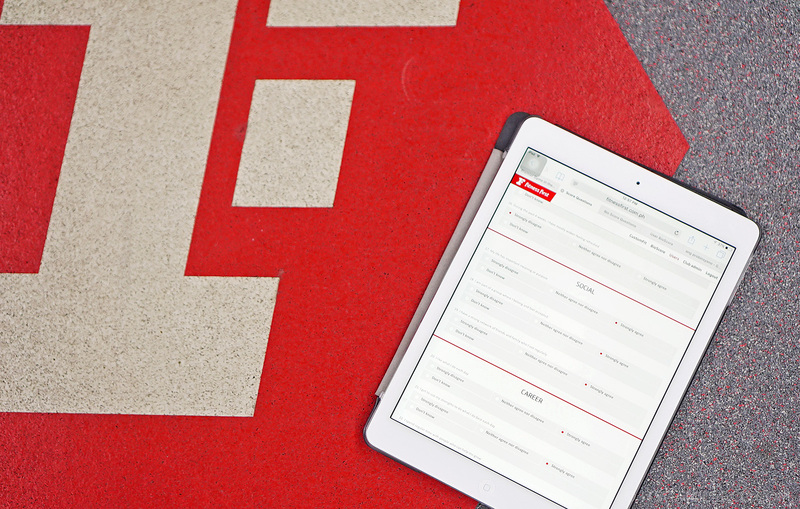 A BioScore assessment by Fitness First starts with 3 important health tests. First is your blood pressure (not pictured). Second is your height compared to your waist. This is to determine if you’re overweight. You see, measuring your weight alone isn’t enough. Fat stored around the abdomen carries more health risks such as diabetes and heart disease. Third, your lung function measured through the Peak Flow Spirometry test. You just basically have to blow this white thingy as hard as you can. This test helps diagnose conditions such as asthma and one’s current capacity for aerobic exercise in relation to his/her age. After the health tests comes the fitness tests a.k.a. a series of punishments. Just kidding. Or not. These 3 photos above are the front squat, overhead squat with wide grip and overhead squat with raise which together, comprises the LMA overhead squat sssessment test. This measures upper and lower body mobility. Next are the the front loaded lunge, front loaded lunge with twist and overhead lunge with twist which are collectively called the LMA inline lunge assessment. These, along with the squats, look pretty easy but you have to be cautious of your form, which your BioScore trainer will correct. You will be asked to perform them a few times to measure your balance and full body mobility. I had such a hard time doing these two tests. I don’t love lunges and squats. There is nothing in the world I hate more than them so I’m sure I didn’t do all too well here. After the balance and mobility tests, it’s time to do the 8 level core test. (Now, core exercises–these I can do.) Your BioScore trainer will time you while you do a basic plank position, which then levels up to a plank position with one arm stretched out, which then levels up again to a plank position with one arm stretched out and the opposite leg suspended. You’ll be doing these positions for each side so they are quite gruesome, especially while making sure to maintain proper form. But then again, this staging process that increases in both difficulty and intensity is one of the best ways for you to measure your strength and endurance. Remember, a strong core helps you build a better posture and enables you to be better in everyday activities such as lifting, walking, running and even sitting at your desk. These marks on the floor is what you’ll be using next as part of the hexagonal agility test. 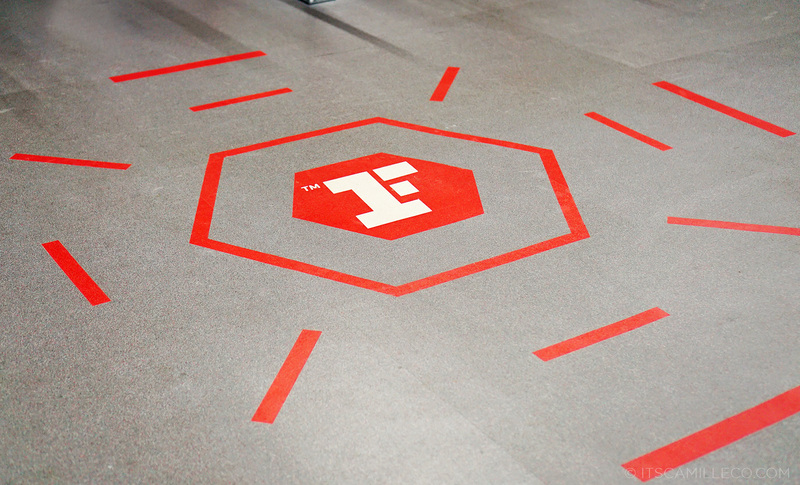 Starting from the center where the “F” mark is, you’ll be jumping to each side of the hexagon, going to and from the center each time you jump out of it while making sure you don’t step on any of the lines. This is a great indicator of balance, coordination, speed and strength–all key movement attributes to help us go further in everyday life situations. 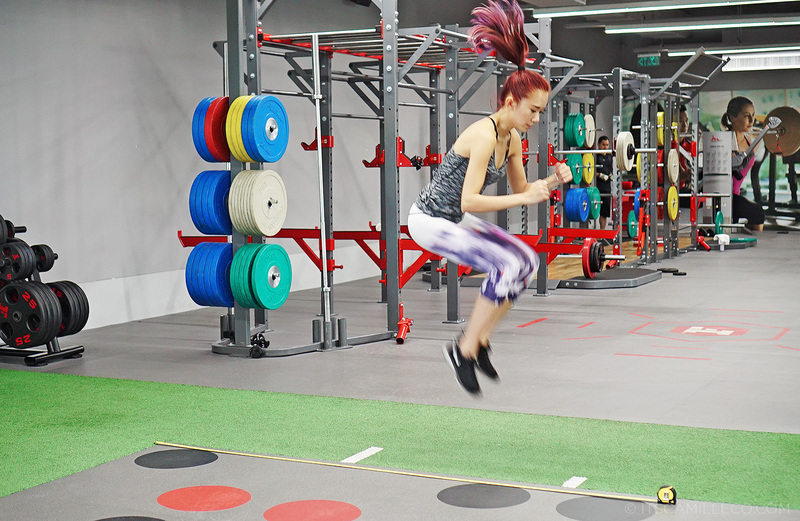 Now, to assess one’s power output, you have to jump as far as you can from one point to another. This gauges your leg power because as you age, you naturally lose power through muscle fibre depreciation. Oh TRX, I never can escape you. The second to the last fitness test is the inverted TRX row. Using your bodyweight, you must lift your body up, making sure your chest is as high as your hands, arms locked out and spine in line. The score is your last perfect “rep”. This measures your strength in relation to your age. The last fitness test is the 500m row. With the rowing machine set to level 1, you must finish the 500m distance. 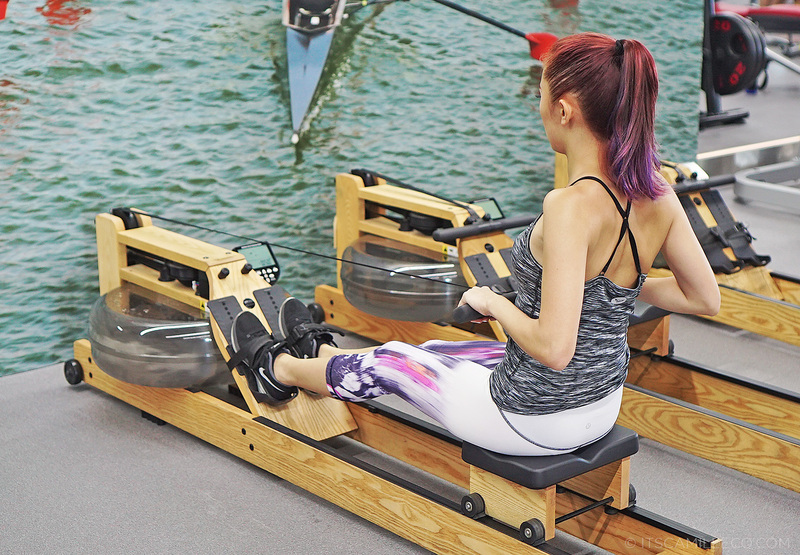 This test enables you to assess and see improvements in your ability to take in oxygen and deliver it to your muscles throuh an improved row time–ultimately, meaning you are getting fitter! Done with the health and fitness tests! All you have left now is the lifestyle test because understanding what condition you are in doesn’t depend on health and fitness alone. This step is pretty easy peasy. All you have to do is answer a series of questions about your daily nutrition, stress levels, drinking and smoking habits, sleeping patterns, etc. Based on your health, fitness and lifestyle test scores, your BioScore will be calculated accordingly and your BioScore trainer will outline the best options for you to improve your performance on each area. It’s super interesting really. It’s like an in-depth look into what your body really needs to make you feel and look younger, healthier and stronger. I highly recommend it. A single session for members is P1,300 and P1,995 for non-members. This takes a lot of discipline but despite your busy schedule I’m glad you still make time for this :) Health is wealth! Btw Ms. Camille, do you order your shoes (gym shoes) online or you buy them personally in malls? Hmm, I should go an measure too. You look amazing! Try it! :) Thanks Audrey! perfect timing! i was actually doing a research last night about fitness and exercises and your blog today is really helpful..i gave birth three months ago and the fat on my belly is annoying me..i want to get rid of it as soon as i can but i don’t know how to start and i also don’t know if i can do these core exercises since i never tried it ever since(since my body is ok)but after giving birth, there you go, this hateful tummy fat..miss camille, can you please advice me of what basic core exercise i should do to get rid of these fat little by little?i will greatly appreciate it..thanks a lot!